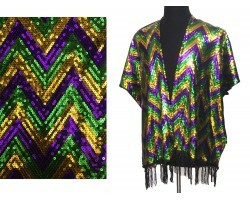 Mardi Gras Sequin Checker Fringe Oblong Scarf. 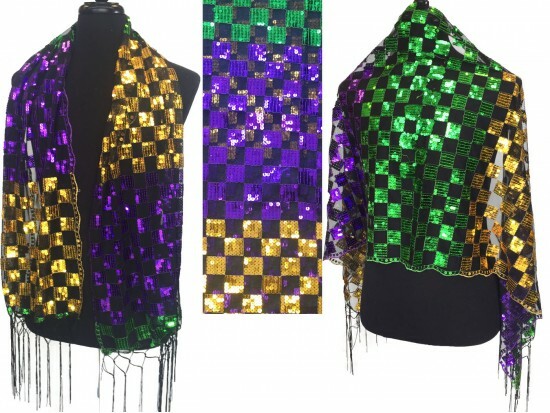 Mardi Gras colors: purple, green, gold scarf with sequins, in patterns of checker board. Fringe edge. Shawl. Size: 63 x 25 inches.